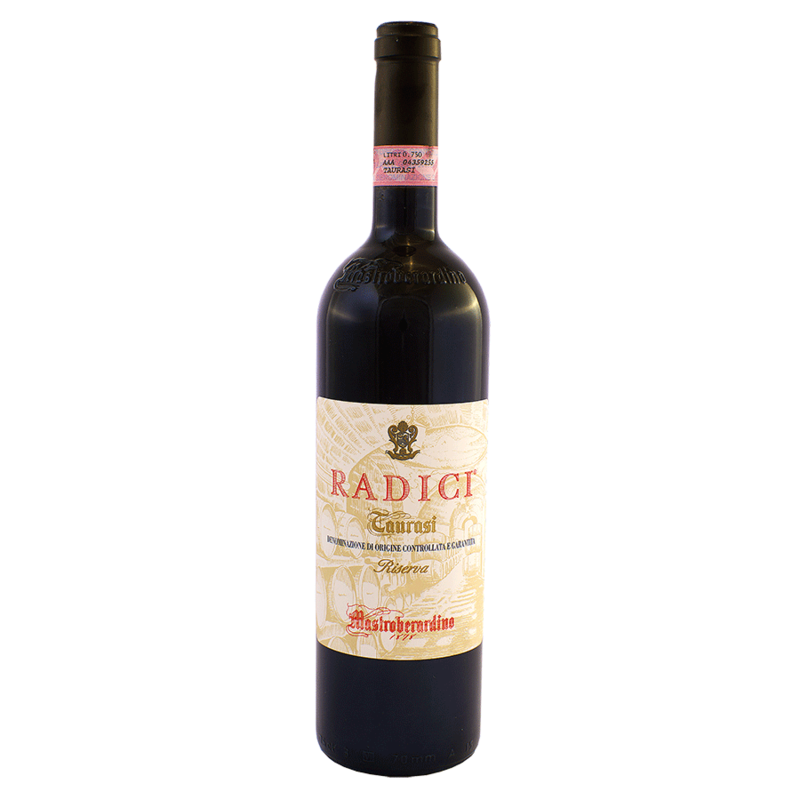 Radici, produced for the first time in 1986, is the result of long and careful research concerning exposure, soil profiles, soil texture and chemical characteristics of the vineyards’ terroir. Its strong, dense structure and the aromatic concentration are the most evident characters of this prestigious interpreter of Irpinian viticulture. Montemarano represents a historic site in the production of Taurasi, in the southernmost part of the DOCG area. The estate now plays an important role in the cultivation of Aglianico grapes for the production of Radici Taurasi DOCG and in particular for the Riserva. Here extreme thermal excursions and the slower pace of maturation provide the conditions for a late harvest, usually in November, offering grapes richer in tannins and acidity, enhancing the character of longevity. The highest part of the Montemarano estate, with a South-East exposure and a chalky-clay soil. The altitude is of about 550 m a.s.l., the training system is the espalier with cordon pruning system, the density of plantation is 3,500 vines/hectare (about 1,400 vines/acre) and the yield is about 4,500 kg/ha (4,000 lbs/acre) and about 1.3 kg/vine (2.87 lbs/vine). Hand harvested at the beginning of November. Classic red wine vinification, long maceration with the grape skins at a controlled temperature. Refines for 30 months in French oak barriques and Slovenian oak barrels. At least 36 months in the bottle before release. Full, complex, fine, with notes of tobacco, spices, cherry, berries and balsamic aromas. It is enveloping, elegant and persistent with distinct notes of plum, bitter cherry, strawberry jam, black pepper and liquorice. Hard cheese, truffles, porcini mushrooms, ragu and dishes with long cooked sauces, roasted red meats and spiced dishes.